It is of great concern that science education is failing to impress many young people to engage deeply in learning, in learning for a purpose other than preparing for tests and exams. Many of these future decision-makers demonstrate a sense of hopelessness and helplessness with regard to the challenges lying ahead of them, particularly global issues of sustainability, with many feeling disempowered. So, what can be done to reverse the trend of disengagement? 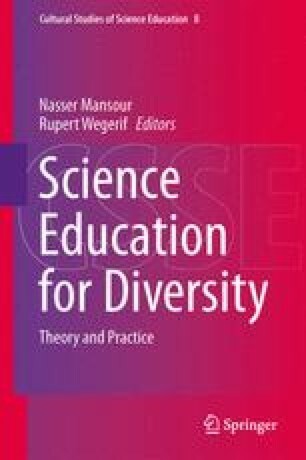 In this chapter, we present an overview of ongoing research into science teachers’ adaptation of ethical dilemma story pedagogy as a classroom strategy for enacting socially responsible education with a special focus on sustainability. This pedagogical approach marries values and ethics education with science and environmental education. It promotes dilemma-based, content-related and values-dependent decision-making. Teachers participated in our research with a view to re-engaging academically and socioculturally diverse, and often disenchanted, learners in science education by linking ethical dilemma stories to science and sustainability topics directly relevant to community issues. Education for sustainability has far-reaching implications for many learning areas, especially science education which is well suited to providing the necessary knowledge, skills and values base for informed ethical decision-making with a view to achieving a sustainable future for the world. Drawing on the results of a recent case study of an innovative science teacher engaging her students in education for sustainability, we address the question: What makes ethical dilemma story teaching compelling for students?